Over 150 doctors and medical professionals have signed an open letter to US President Barack Obama calling for hunger-striking prisoners at the Guantanamo Bay detention center in Cuba to receive independent medical care. 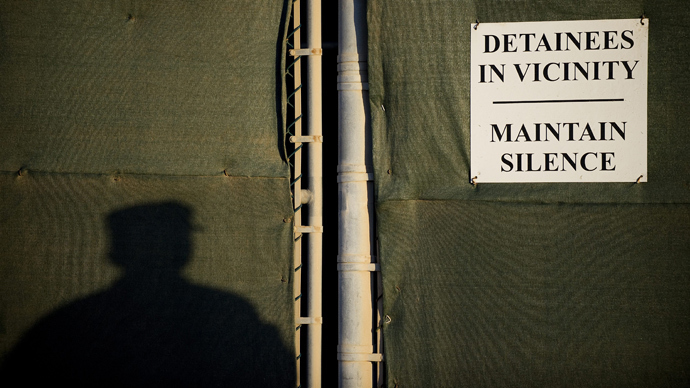 The letter, published in the Lancet medical journal, states that the detainees have "very good reason" not to trust local medical staff, who are required to follow the orders of their military commanders. 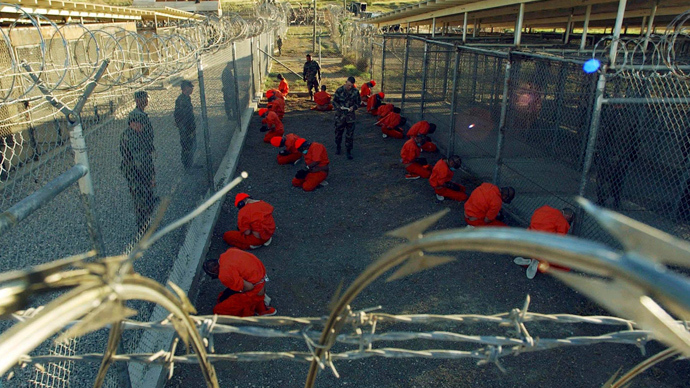 At least 104 of the 166 detainees at Guantanamo are participating in a hunger strike to protest their indefinite detention without fair trial. Of the hunger strikers, 43 have lost enough weight that military doctors are feeding them through tubes running though their noses and into their stomachs, according to a military spokesman. While the procedure has been described as very painful, prisoners who refuse to be fed are strapped into restraining chairs to immobilize them during the process. With a number of detainees said currently to be “unfit for long-distance flights”, the authors of the letter propose visiting them “under appropriate conditions” to assist in their recovery and release. “Force-feeding a competent person is not the practice of medicine; it is aggravated assault,” the professors wrote. “Using a physician to assault prisoners no more changes the nature of the act than using physicians to ‘monitor’ torture makes torture a medical procedure,” Drs. George Annas, Sondra Crosby, and Leonard Glantz stated. “Hunger striking is a peaceful political activity to protest terms of detention or prison conditions; it is not a medical condition, and the fact that hunger strikers have medical problems that need attention and can worsen does not make hunger striking itself a medical problem,” they warned. 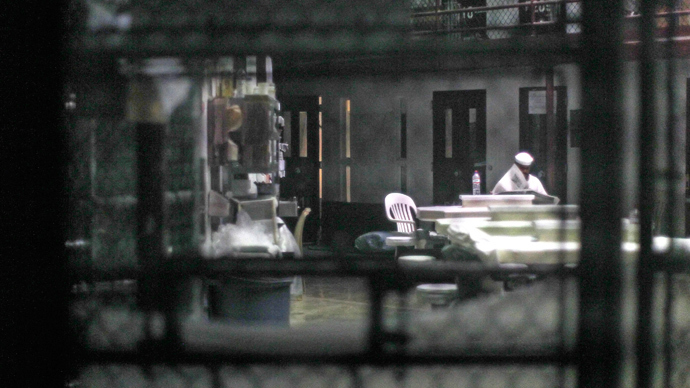 A Guantanamo spokesman said that tube-feeding detainees is court-approved and medically sound. "It is the policy of the Department of Defense to protect the life and health of detainees by humane and appropriate clinical means, and in accordance with all applicable law and policy," Reuters quoted Navy Captain Robert Durand as saying. Barack Obama first pledged to close Guantanamo Bay back in 2008. Last month, he promised to restart the repatriation process for some 86 detainees long-since cleared of the charges brought against them. He also pledged to end the ban on sending prisoners who had been cleared for transfer back to Yemen, one of the main obstacles to closing the camp. This has not happened, however, with Congress concerned that releasing the detainees could endanger the country. At the end of May, Guantanamo prisoners published a plea for the physicians overseeing their detention at the camp to be changed. They argued that the current personnel are not impartial to the wishes of the US government. The letter was signed by nine prisoners and lawyers for several others. 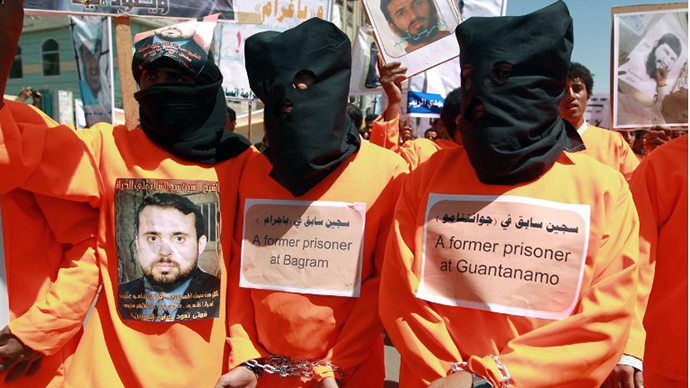 Prisoners at Guantanamo began their hunger strike four months ago to attract international attention to their plight. Some of the inmates have been held without a trial for over a decade, and many have expressed fears that they will spend the rest of their lives in Guantanamo cells.